Posted on 05/07/2018 by Will Colbert	in Live Review and tagged 5th Event Live, Brooklyn, DJ Bee, Fresh Radio, hip hop, rap, Skyzoo, Songbyrd Music House. 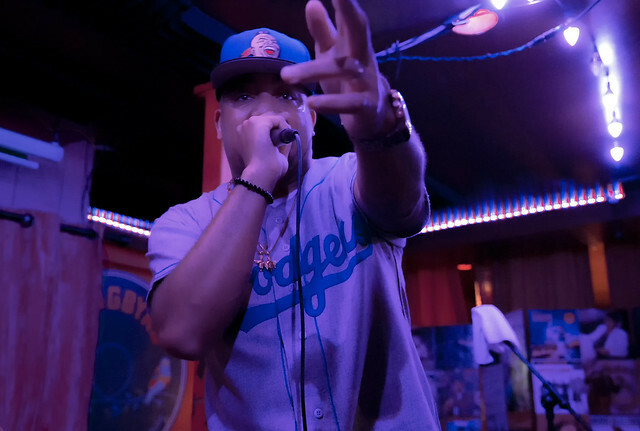 Brooklyn MC Skyzoo made a long overdue return to DC Friday to perform songs off his recently released album, In Celebration of Us. It was an early show that started late, but well worth the wait. Turntablist DJ Bee didn’t just warm up the crowd — he had the place on fire! The Philly DJ, now residing in Norfolk, Virginia, spun hip hop classics between sets giving the audience a taste of his internet-based radio station Fresh Radio (itsfreshradio.com). DJ Bee also was host of the event as a presentation in a series for 5th Element Live, based on the radio show of the same name. It was a basement party and the Songbyrd Music House’s subterranean setting was the perfect back drop for a night of underground boom bap rap. No frills, two turntables and a mic. So begins “Everybody’s Fine,” the first track from In Celebration of Us and the first song performed Friday night. The lyrics explore injustice, retaliation, and the fragility of life in 2018 America. It may take a few listens to decipher the complex lyrics, but the point is that everybody is not fine. 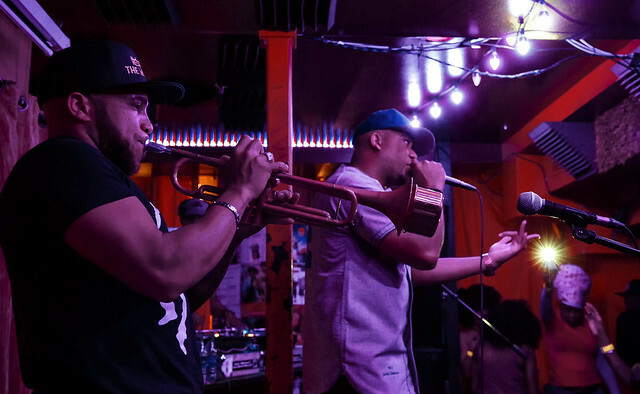 The critically acclaimed In Celebration of Us showcases Skyzoo’s poetic dexterity and ability to weave together stories using the fabric of his upbringing, cultural influences, and awareness of social ills. Skyzoo doesn’t take a superficial view of complex topics. The rhymes he pens are sociological critiques worthy of a PhD dissertation. During the show, Skyzoo told the audience that his latest album is a tribute to people that look like him. These are stories that need to be heard, and if you don’t look like Skyzoo, that’s okay, said the MC. It’s important that you listen and gain perspective of what’s happening in and to the black community. “Black Sambo” had the crowd rocking. Skyzoo explained that he began ghost writing the song for another rapper — but after finishing the first verse, he knew he wouldn’t be able to hand over the song. 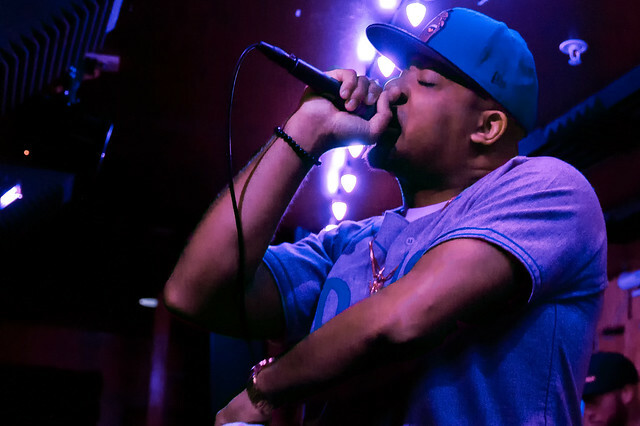 Skyzoo rhymed about police violence over the !llmind-produced club beat effortlessly. Unfortunately, DC’s own Raheem DeVaughn was not in attendance to sing the chorus to the Apollo Brown-produced “Baker’s Dozen.” Not to worry, representing the DMV was Howard University graduate Marc “Nfinit” Williams on the ones and twos. Nfinit has produced tracks for Skyzoo, Action Bronson, and Talib Kweli. Skyzoo is a student of hip hop. He subtly incorporated rhymes from ’90s classics into many of his verses. The results were dopamine rushes in a hip hop head’s brain. The type of rush a fan may feel when they hear Mobb Deep’s “Shook Ones, Pt. 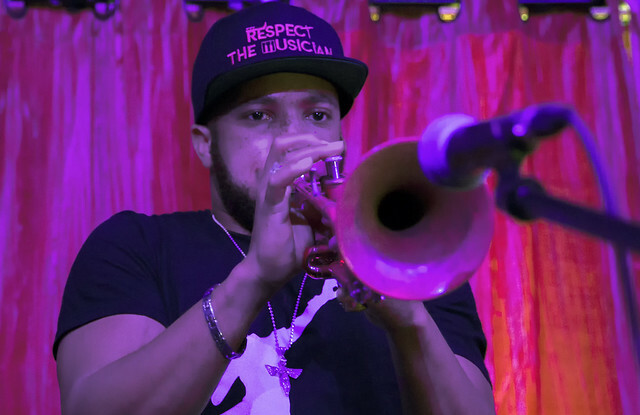 II,” or Nas’s “Halftime.” Skyzoo performed verses to both songs over their respective beats before going into “Finesse Everything” from his 2017 album, Peddler Themes. The Marc Nfinit-produced “Bamboo,” also on Peddler Themes, had heads nodding to its jazzy beat. The song about black market gun sales is loosely based on the ‘90s film Strapped. Bamboo was a character in the film played by rapper Fredro Starr. 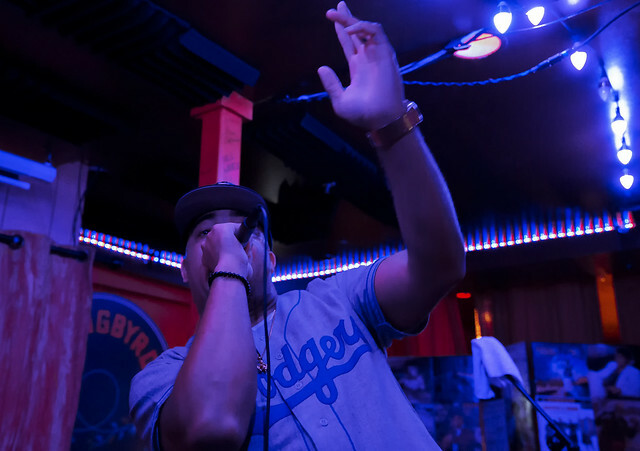 Skyzoo kept the show going well beyond the designated end time, performing “Heirlooms & Accessories,” “Crown Holder,” “Range Rover Rhythm,” “Collateral,” and other crowd favorites. Copping to his tardiness, Skyzoo jokingly offered to pay the venue owner for every minute he went over his set. Alas, all good things come to an end, but before closing things out, Skyzoo asked the audience to pay tribute to fellow Brooklyn MC Sean Price, who passed away in 2015. A somber moment following a lively show, but paying tribute to a fallen MC is hip hop and so is Skyzoo. 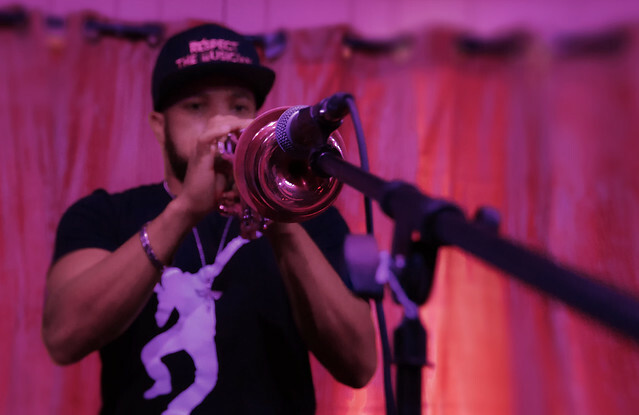 Here are some photos of Skyzoo performing at Songbyrd Music House on May 4, 2018. All photos copyright and courtesy of Will Colbert.